A charge of Spotsylvania reckless driving is serious. Fortunately, I focus on traffic defense in the Spotsylvania, Fredericksburg, and Stafford area. Let’s look at your case and what I might be able to do about it. The Code of Virginia contains several varieties of reckless driving offenses. To know how we’ll defend your case, we first have to know exactly what statute you’re charged with violating. The front of your Virginia Uniform Summons lists the specifics about your charge. Look under the section that gives you the date of your appearance in the Spotsylvania General District Court. There should be two blanks that show the code section you’re charged with violating, along with a description of the alleged violation. One main type of Spotsylvania reckless driving is charged under 46.2-862 for reckless driving due to speed. That statute makes it reckless driving to drive at any speed over 80 mph or any speed 20 mph or more above the speed. The other most common reckless driving charge I see in Spotsylvania is under 46.2-852 for generally driving in a way that endangers people or property. That statute is very open-ended, so it’s subject to many different interpretations. 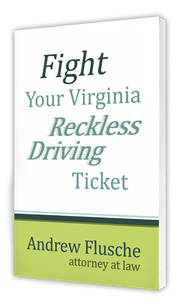 In Spotsylvania reckless cases, I use the full gamut of legal defenses, many of which are explained in my free reckless driving defense book. The court is typically receptive of arguments based on speedometer calibrations, lack of the officer’s calibration proof, and reasonable doubt in general. 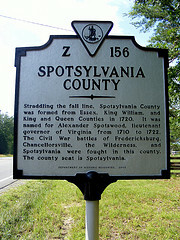 The Spotsylvania court system is one of my favorites. It has a comfortable rural town feel, and everyone I deal with is polite and courteous. Adult traffic cases are handled in the Spotsylvania General District Court. It’s located at 9111 Courthouse Rd, Spotsylvania, VA. It’s the Route 208 business route. The General District Court is in the court complex, on the first floor of the building without columns. Judge Richard McGrath is the usual sitting judge in Spotsylvania General District Court. Currently, a second judge comes in on Thursdays to help with the court’s overburdened docket. The head Commonwealth’s Attorney (prosecutor) in Spotsylvania County is Travis Bird. Their office is located down the hall from the General District Court. They don’t normally get involved with reckless driving cases unless it’s a high speed (typically 100 mph) or there are other aggravating factors, such as a fatality. I’d love to discuss your Spotsylvania reckless driving charge with you. We can look at the charge you’re facing, the facts of your case, and your driving record; then we’ll work together to create a defense plan to help you get the best outcome possible. Call me now at 540.318.5824 for your free case strategy session, or download your free reckless driving defense book.